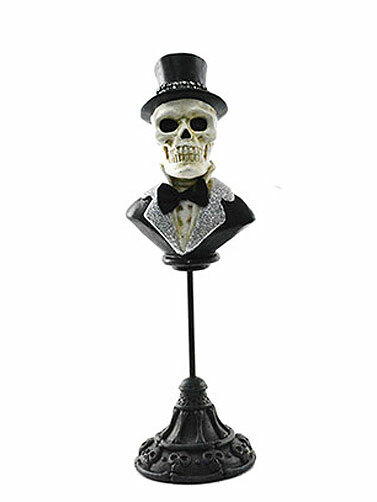 This Costumed Skeletal Bust Couple decoration has a vintage look that will add a touch of glamour to your Halloween home display. 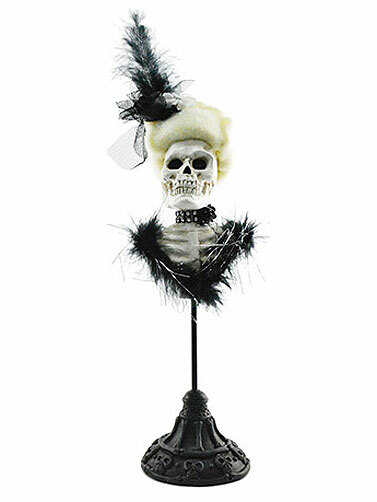 Set includes two skeletal busts, a male and a female, each adorned with feathers or glitter. 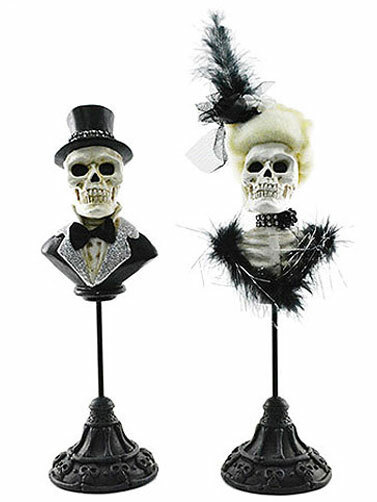 The male skeletal bust is wearing a top coat and top hat while the female skeletal bust wears a wig with a feathered hat and neck choker. Each bust rests on a black base embossed with skull and bones. Costumed Skeletal Bust Couple measures 12.25"H x 3.5"W. 2 pc.